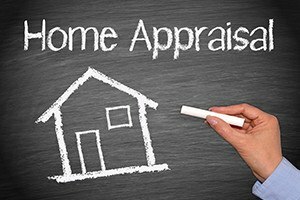 An appraisal plays a crucial role in a real estate transaction. Whether you are the buyer or seller of a residential property, you will depend on this step to move the deal forward. At Pulgini & Norton, our seasoned real estate attorneys understand how an appraisal can affect your ability to go through with a purchase or sale in the Boston area. We can advise you on how to protect your interests if the estimated value falls short of what is expected. An appraisal is an estimate of the market value of a piece of real estate. An appraiser will value the property based on its physical condition and a market analysis of comparable properties sold in the area. This person is usually selected by the lender involved in the expected sale. A property that is appraised at or near the sales price is beneficial to both the buyer and the seller. The buyer is more likely to secure financing if the property is priced at or below the market value. This increases the likelihood that the sale will go through. A low appraisal, however, can impede or even stop a deal. If the property is appraised lower than expected, the buyer is unlikely to qualify for the entire mortgage amount. In other words, either the buyer will need a larger down payment to make up the difference, or the seller will need to reduce the price on the property. Both scenarios can jeopardize the sale. Most buyers rely on a mortgage to fund the difference between the down payment and the purchase price of a property. The lender will need to have the property appraised to determine the value of the property and the size of the loan. If the appraised value falls too much below the price of the property, the lender is unlikely to grant the buyer the requested mortgage amount. However, federal rules require that the lender provide the buyer with a copy of the appraisal and any other documents used to value the property. To protect the buyer, the Purchase and Sale Agreement should include a way for the buyer to back out of the deal if the appraisal is below the purchase price. This gives the buyer the opportunity to renegotiate the price with the seller or walk away if an agreement is not reached. Sellers can take some steps toward obtaining a favorable appraisal of their property. A seller can work with a real estate agent to price the piece of real estate accurately before it is listed for sale. The seller also can treat the appraisal as something of an open house and fix any noticeable defects, such as marks on the wall or an overgrown lawn, that are identified by it. During the appraisal, the seller can provide the appraiser with a list of improvements made to the property, such as the installation of a new roof. The seller can also tell the appraiser about any major developments or changes in the area, like the opening of a new school. The seller should also mention any recent for-sale-by-owner transactions, since the appraiser may not be aware of these sales. The property lawyers at Pulgini & Norton provide skilled guidance in real estate matters throughout Boston and nearby communities. If you are in the process of selling or buying a home, we can review key documents that could affect the ultimate consummation of the transaction, including those related to appraisals. We can draft or negotiate provisions that help protect your interests in case the estimated value is lower than expected. If you are in Brookline, Lowell, Malden, or one of the surrounding towns, call us at 781-843-2200 for a consultation. You can also reach us online.